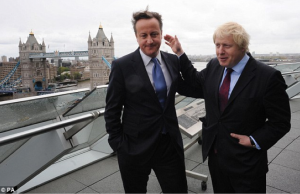 Should Boris Johnson’s Triumph in the Face of Impunity Lead Him To Number 10? What policy changes could make the Conservative party more popular? 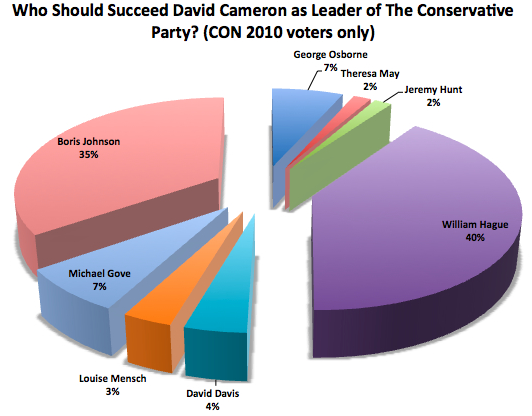 Despite being behind David Cameron on many of the traditional measure of Prime Minister suitability, Boris is still desired by the Conservative base. Who came off best and worst from the local elections and is Tony Blair a welcome comeback? Who do you think has gained the most from the outcome of the local elections this week? Base: All respondents: 70% Ed Miliband, 6% David Cameron, 1% Nick Clegg *(83% of Labour 2010 voters say Miliband – a morale boost). Who do you think is the more likeable politician? 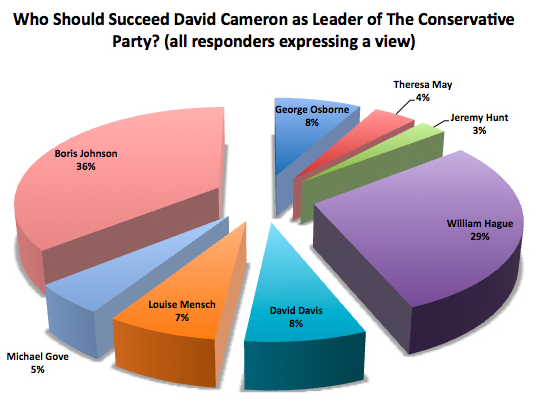 Base: All respondents: Boris Johnson 55%, David Cameron 25%. Don’t know 25%. *Men find Boris Johnson more likeable than women (61% to 21%) Women find David Cameron about as as likeable in comparison than men (Men 21%, Women 20%). Women like Boris Johnson less than Men (Men 61%, Women 48%) with the difference that women “Don’t know” more about Boris Johnson. 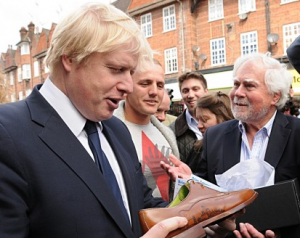 The very young 18-24s (62% to 17%) and the older 65+ group (64% to 18%) like Boris the most over David Cameron. Who do you think would be most likely to repay a fiver? Base: All respondents: 35% DC, 34% BJ*Generally the younger you are the more Johnson is trusted e.g. 18-24s are 44% BJ, 28% DC. Who do you think is the most intelligent? Base: All respondents: 35% BJ, 35% DC (BJ just ahead, same on rounding) *Everyone over 35 believes Boris Johnson is more intelligent than DC, perhaps they are more likely to know he was a scholarship entry at Eton? Which of the following statements is closest to your opinion? Legalising gay marriage: Base: All respondents: More 25%, Less 21%. 54% Neither. *2010 CON voters More 19% Less 28%, 54% Neither. Reversing the budget decision to scrap the higher age-related income tax allowance for pensioners: Base: All respondents: 38% More, 10% Less, 52% Neither. *2010 Labour supporters 42% more, 9% Less. 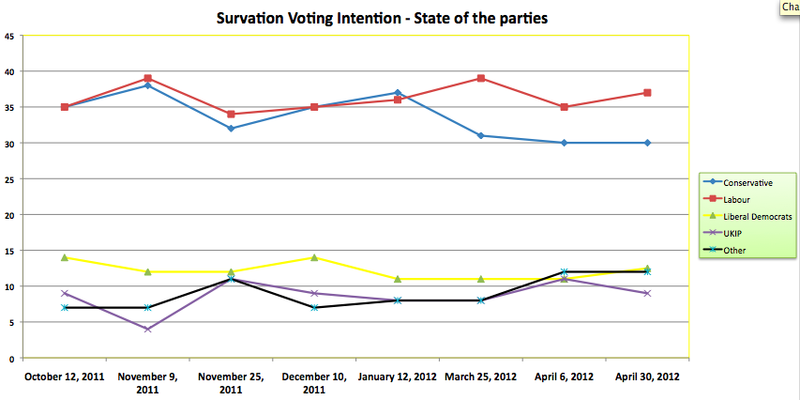 *2010 Lib Dem supporters 41% More, 9% Less. Reversing the budget decision to remove the VAT exemption for hot baked pastries: Base: All respondents: 31% More, 10% Less, 59% Neither. 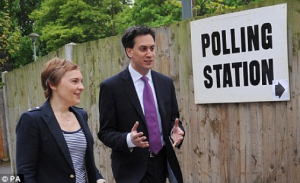 Do Ed Miliband’s Personal Ratings Really Matter? 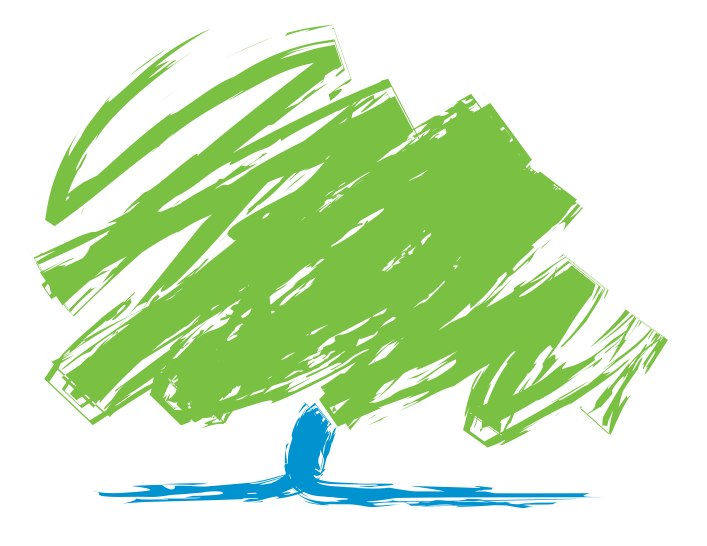 Lynton Crosby’s “Barnacles Off The Boat” Strategy Needed To Win Back Tory C2DE Voters.